It seems like everyone’s saying to buy silver. Whether silver prices are up, or whether they are down. Of course, a lot of the chants you’ll hear about buying silver has to do with marketing. Bullion, after all, is a 24/7 industry with billions of dollars in silver up for grabs at any given time. I keep an eye on the silver prices anyway since I’m a coin collector, and what’s been happening with the silver market over the past few years is interesting to say the least. 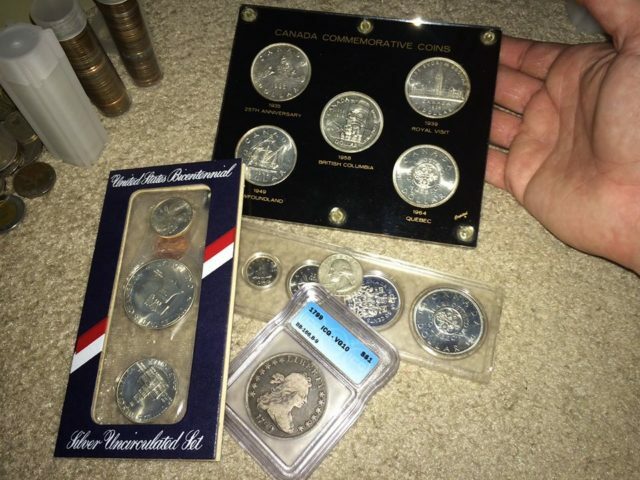 If I recount my entire time collecting coins, which I’ve been actively doing since 1992, I can talk at length about the changes in the silver market. When I started buying silver coins back in the early 1990s, silver cost around $5 an ounce (gold, meanwhile was less than $400 per ounce). I remember right around the year 2000, silver was trading for about $4 an ounce and gold dipped to $300. Did I buy silver in 2000? In hindsight, I should have, but my pockets weren’t deep enough to do much investing. I was a college freshman at the time and simply trying to keep up with rising tuition costs. Terrorism was redefining American politics. World economies were spinning on their heads. Like gas prices, silver was also going up in value — and fast. In the early part of the 2010s, silver was skyrocketing upward to $50 an ounce, and some analysts predicted gold could touch $5,000 an ounce. As of this writing, silver has softened in price, and so has gold. Right now, silver costs about $16.50 an ounce. It was trading less than $15 an ounce just 2 weeks ago. Gold, meanwhile, trades at about $1,200. So, is now a good time to buy silver coins? The answer to this question might be found in looking at the pros and cons of buying silver coins. Silver coins are popular with both investors and numismatists. In other words, bullion coin investors like silver coins and so do those who aren’t so much concerned with making money but, rather, simply enjoy the hobby of collecting coins. Some popular U.S. silver coins include Morgan silver dollars, Peace silver dollars, and Walking Liberty half dollars. Silver is an industrial commodity — meaning it’s used to make important, everyday items like medications, electrical components, photography, mirrors, and solar technology. So, there’s always a demand for silver. Silver is a gateway investment metal since it’s not as expensive as gold, platinum, or palladium and is easily bought and sold. Buying silver bullion coins is an easy way to get involved with metal trading, and American silver eagle coins are among the most popular bullion coins for investing purposes. Sure, silver is an important commodity, but does that mean it’s a surefire investment? Silver prices will go up, but they will come down, too. In 1979 and 1980, there was a huge spike in silver prices due to unscrupulous market activity by an investment group. By 1981, prices fell from nearly $50 an ounce (in 1980 dollars) to about $10. Silver, like I said earlier, traded for around $5 in the 1990s, and flirted with the $50 mark again (in 2011 dollars) by 2011. 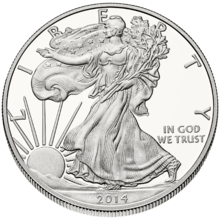 At the end of 2014, an ounce of silver costs less than $20. You’ll make money if you buy silver when the price is “low” and sell silver when the prices are “high” — but how will you know what the lows and highs are? When will they happen? Investing in silver is, at best, a gamble. Only play the game if you want the thrill of making a profit but are OK losing money, too. If you want to buy silver coins, remember that you’ll pay a premium for the coinage over the spot price of silver. So, the only way you’ll make a profit on silver is if the bullion price increases are more than the premiums you paid to buy the silver coins in the first place. 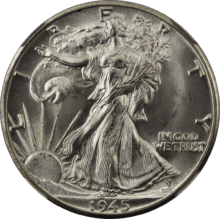 For example, junk silver coins and American silver eagles usually cost $2 to $3 more per ounce than their intrinsic value. Choosing silver ingots is relatively the least expensive way to buy silver.